I didn’t set out to write about paint skins today, but stumbled upon a great video lesson plan that I thought you might enjoy. Textural elements embedded in clear gel. For new readers, pictured here is an array of my own saved-up paint scraps and skins, as well as ones I’ve created for texture buildup. I end up finding a use for most of them in my work. 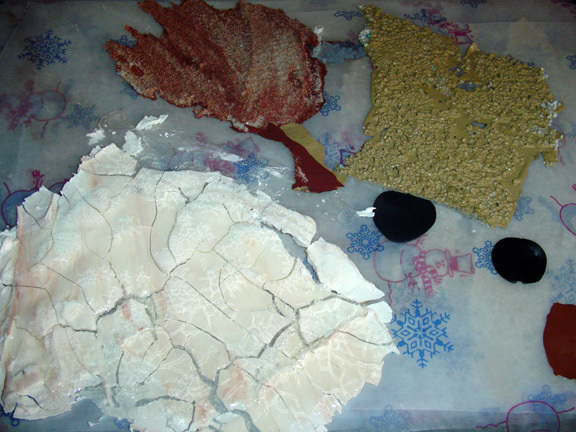 Paint Skins - These were peeled from old Hefty interlocking plates that I use for palettes. I keep these in a plastic bag for future use. 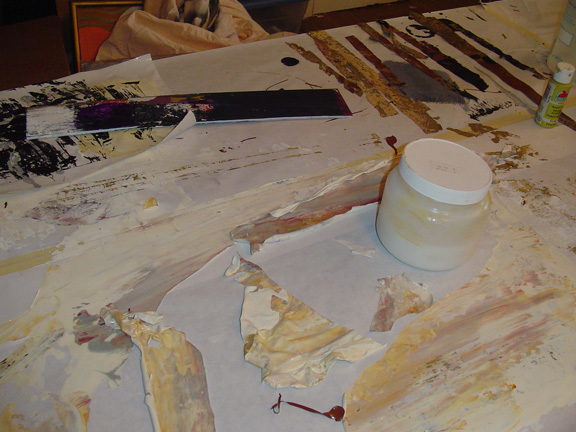 These were created specifically for use in paintings. I poured thin layers of paint onto freezer paper for these. This video is the best yet that I’ve seen on the subject of paint skins. It’s a little on the crafty side and geared to students, but it will show you more detail about what paint skins are like and how they are made. 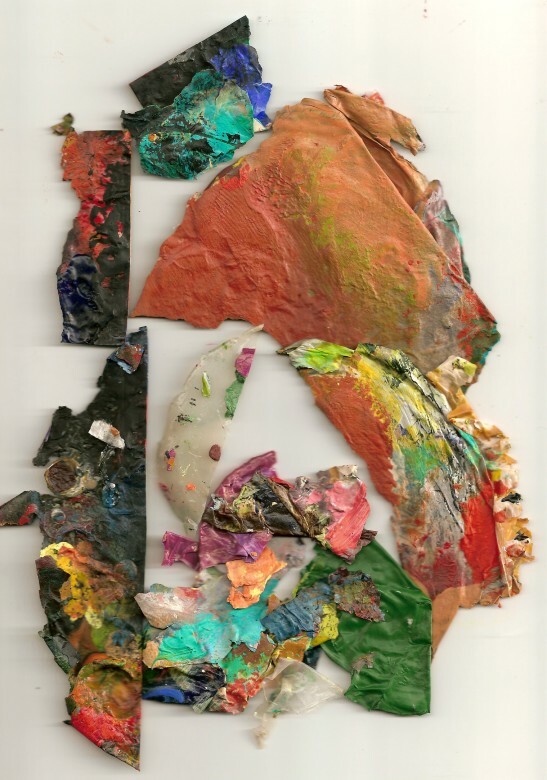 You might get some more ideas of your own about how you might recycle your used paint into new work. I’ve saved a couple of skins. This inspires me to do more. OMG! Yeah, yeah, yeah! You have no idea what a ‘gift’ this post of yours is. Again, this brings it all full circle for me as paint skins is what reeled me into your work in the first place! I absolutely love anything textural and her it is. Thank you! I watched some of the Golden videos too and given that I had enough time and money I would be diving in. I am happy, however, to let you all do it (with me watching over the shoulder) until I can. Thanks! Debra, here’s wishing for you to find time to do some art. You don’t need a lot of money. Just think about adding texture with whatever is sitting around that you can recycle. Corrugated cardboard, styrofoam, bits of metal, sand, wood scraps. Stick it down with whatever you have that will hold it to the surface. Paint it with old used house paint. Spent ages last night watching the videos from your links. Wonderful fun! It was relaxing and inspiring at the same time. Thanks for sharing them Martha. Cath, I’m still watching them when I have a few minutes. I’m famous for pointing people to stuff I want to look at myself, and then have to find the time! Just found your site and had to watch this video after your beautiful images, that is really inspiring! Thanks for sharing the link!